For 41 years the amount of Saudi Arabia's holdings in US Treasuries remained shrouded in secrecy. What was behind the mysterious deal? It seemed all was lost in 1974: following the Yom Kippur War (Arab-Israeli War) of 1973, the members of the Organization of Arab Petroleum Exporting Countries proclaimed an oil embargo in response to Washington's aid to Israel which led to the "first oil shock." As a result of the crisis oil prices quadrupled, inflation soared, the stock market crashed and the future of the US economy hung in the balance, Andrea Wong of Bloomberg narrates. To mend the dire economic situation then president Nixon sent his emissaries — William Simon, newly appointed US Treasury secretary, and his deputy, Gerry Parsky — to the Middle East. "Officially, Simon's two-week trip was billed as a tour of economic diplomacy across Europe and the Middle East, full of the customary meet-and-greets and evening banquets. But the real mission, kept in strict confidence within President Richard Nixon's inner circle, would take place during a four-day layover in the coastal city of Jeddah, Saudi Arabia," Wong writes. The goal of the secret mission was to neutralize crude as an economic weapon and convince an angry Saudi monarch to fill the widening gap of American deficit with its petrodollar wealth. It sounded like "mission impossible," but Parsky knew that if the "unprecedented do-or-die" plan failed, the USSR would jump at the opportunity to gain an upper hand in the Arab world. Obviously it contradicted Washington's geopolitical interests. "The basic framework was strikingly simple. The US would buy oil from Saudi Arabia and provide the kingdom military aid and equipment. In return, the Saudis would plow billions of their petrodollar revenue back into Treasuries and finance America's spending," the journalists continues. Needless to say it took months of negotiations before the US emissaries saw the light at the end of the tunnel: King Faisal bin Abdulaziz Al Saud demanded that Riyadh's Treasury purchases remain shrouded in secrecy. Washington satisfied Saudi Arabia's demands: the US, as well as France, Britain, Japan, was dependent on Saudi oil. In addition, the Western countries wanted the Gulf kingdom to reinvest its money in their own economies. When the US began to publish monthly reports on how much US Treasury holdings each country possessed, it made an exception for Riyadh, grouping it together with 14 other oil exporting nations of the Middle East and Africa. The secret of Saudi holdings has remained secret for 41 years. Suddenly, the mystery was uncovered. After the much-discussed bill allowing families of 9/11 victims to sue the Saudis in a US Court was presented in the US Congress Riyadh threatened Washington to sell off up to $750 billion in US Treasures and other assets, thus dealing a blow to the US economy. It turned out that the world's biggest oil exporter possessed only $116.8 billion as of March. It prompted some analysts to suggest that the Gulf kingdom's threats were idle. "The [Gulf] monarchy, while an important player in the US financial system, doesn't have as much leverage [against Washington] as many likely believed," Martin Matishak of the Fiscal Times wrote on May 16. However, citing a former Treasury official, Wong notes that "the official figure vastly understates Saudi Arabia's investments in US government debt, which may be double or more." "Some analysts speculate the kingdom may be masking its US debt holdings by accumulating Treasuries through offshore financial centers, which show up in the data of other countries," the journalist writes. Wong hints at the possibility that Riyadh was not bluffing when threatening to shake the pillars of the US economy. Whether or not Riyadh may use its crude and the US holdings as an economic weapon, one thing is clear: Washington's attitude toward the Gulf kingdom has changed dramatically. And it seems the House of Saud has no other alternative than to reconcile itself with this new reality. 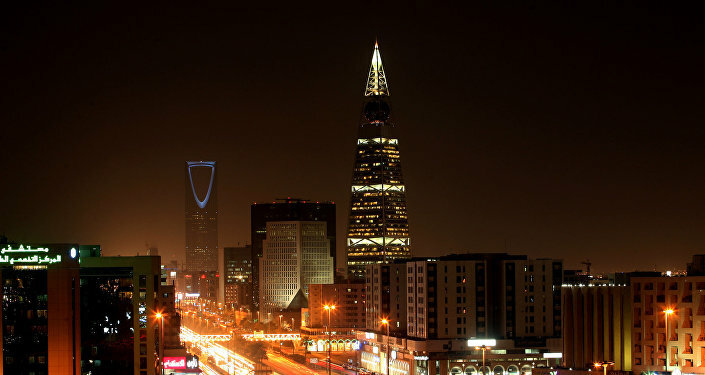 Ghost of a Chance: Will Saudi Vision 2030 Ever Come True?